Since we’ve already completed many international projects from countries all over the world like France, Germany, Italy, Switzerland, USA, India, China and so on, we want to give our customers the opportunity to get to know us personally. In addition, we want to get in contact with potential customers to present our services and products. This is why we will be taking part in several fairs and exhibitions this year. 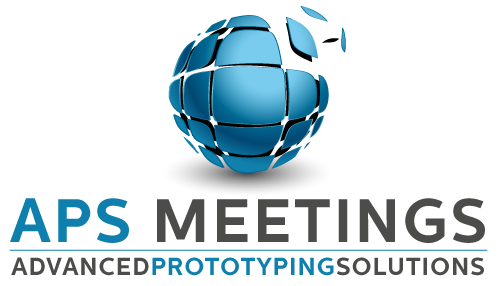 As our main customers are located in France, we will join the APS meeting in Lyon on the 20th and 21st of March. We are delighted to meet with various companies from different industries. In the 30 minute meetings, we will discuss our former or future cooperation. Currently, not all of our 27 appointments have been booked. If you are interested in getting to know us, do not hesitate to make an appointment with us. You can contact us here. For Further information about the fair in general, we suggest you to visit their website. We will also stay in Paris from the 27th to the 30th of March for MidEST, where forging partnerships are made and monitoring technology is presented. If you didn’t had the chance to see us at APS, we are happy to meet you at MidEST at our booth, 1F52, in the village of plastic and composites. In case you need some further information about the fair, check out their website. 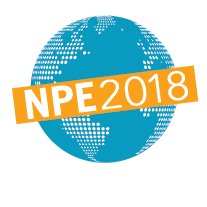 From the 7th untill the 11th of May, we are going to Orlando, FL, USA for NPE. This fair will connect international sellers and buyers from all sectors of the plastics industry. We are waiting for you at our stand, S16196, in the South Hall level 1. To get more information about the fair, you can visit their website. The next fair will take us to the middle of Germany for Erfurt. The Rapid.Tech is one of the most important events in the field of additive manufacturing. Moreover, it offers developers, researchers, construction engineers and users the ability to exchange innovative ideas. We are delighted to welcome you on our booth, 2-425, in the second hall. If you are interested in visiting us, you can find all the information about the fair here. We hope to see you soon at one of the fairs. Since we have not yet decided which fairs we will attend in the second half of the year, there may be even more possibilities to get to know us. Regardless of the trade fairs, you can always reach us via mail or telephone.